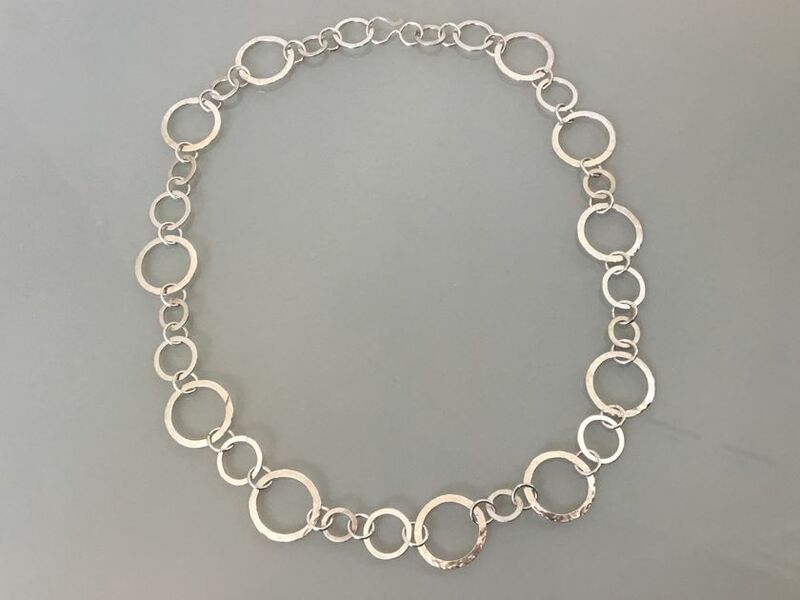 Solid sterling silver chain of large polished and hammered circles, medium sized mirror polished circles and small circles with a satin finish. 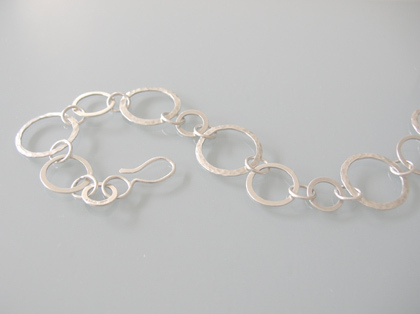 The chain is 59.5cm long and it connects with a solid silver hook that can be attached anywhere along the length of the chain to vary its length. The necklace is hallmarked.